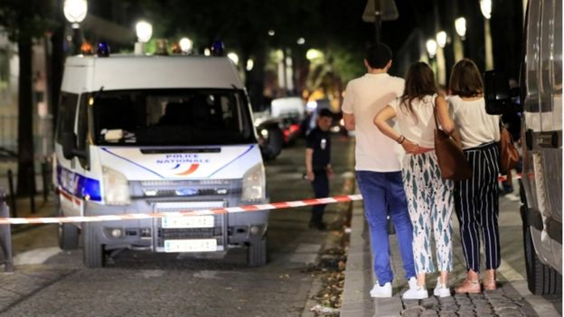 Heavenly Father, we pray for the knife attack that occurred Sunday evening in Paris. We are grateful that the suspect has already been apprehended. We pray for the police as they begin their investigation to determine if this was an isolated incident or if there is any connection to a bigger threat. Father, we pray for the seven people who were injured during this attack. We ask that you heal them completely. We are thankful that the attack took place in public where witnesses were able to intervene and deter the attacker. Lord, we remain vulnerable to violence as we live in a world tarnished by sin. We continue to pray strongly against it. Help us to influence people to choose love over hate, and by doing so that people will come to know you, the ultimate source of all love. We pray in Jesus’ name, amen. Brandi South resides in Chambersburg, PA, with her husband, their daughter, and their two rescue cats. She is employed at Shippensburg University of PA and plans to pursue a bachelor’s degree starting in the fall. Brandi is a member of Grand Point Church in Chambersburg where she enjoys serving on the First Impressions Team as a greeter. Some of her favorite scripture passages are Psalm 25 and Ephesians 2.